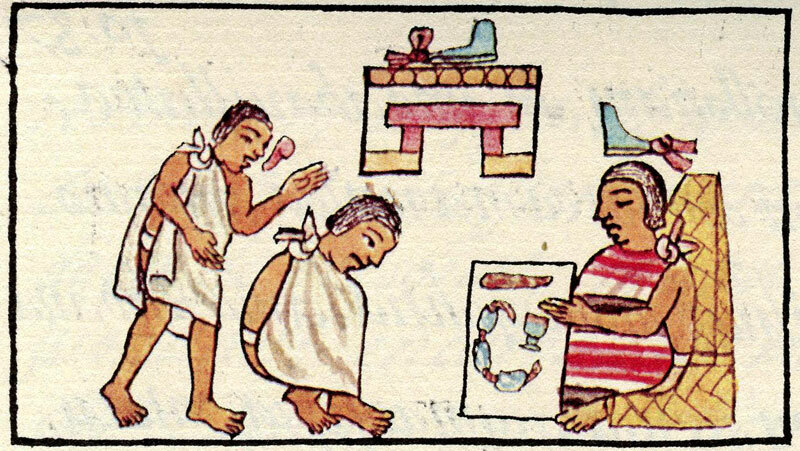 While living in Tenochtitlan, or any other important altepetl of the 15th century, you better make sure to break no laws. Whether selling your goods in the marketplace, pursuing your career as an engineer or an artisan, working the land, or aspiring to a higher position of a military career, you better be aware of the rules, handling the law-enforcing system with care. 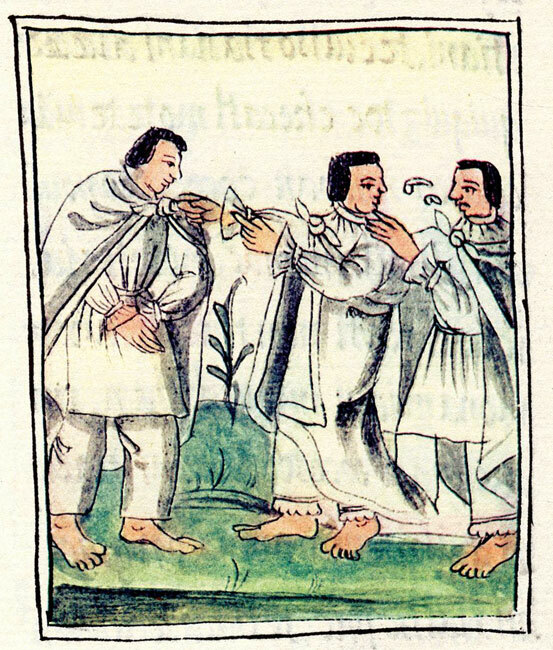 The Valley of Mexico in the 15th century was run by a very strict legal system that made sure everyone knew the laws and was able to follow them with not too much trouble. The maintenance of social order and respect for government institutions, being of a legal or educational nature, was of paramount importance, jealously guarded. Being a simple citizen and having a dispute with your neighbor, you would first apply to the local court, which was set in every town, usually in the marketplace or the plaza, or in each district of a large city. Such a court would deal with minor civil or criminal offences, with its judge being elected from among the ranks of the district’s respected citizens. Veteran warriors, of course, were the preferable choice, trusted to be people of sound mind and proper upbringing. Such an elected judge would have a group of assistants at his disposal, acting as a local police force, summoning or arresting the suspected criminals. His verdict would be presented to the higher authorities, having no executive power to deliver the sentence. If the offence was too serious to be dealt with by the local court, the case would be forwarded to the higher level of jurisdiction called tecalli. 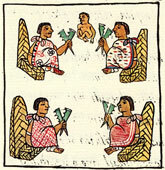 Those courts were held permanently in session at each capital, such as Tenochtitlan, Texcoco or Tlacopan. Staffed by a president and two or three professionally trained judges, those courts would deliver a final sentence in cases of civil disputes. Yet, citizens in criminal cases, feeling they were judged wrongly, could still appeal to the Supreme Justice Court convened from time to time and judged by the Cihuacoatl, the equivalent to the position of a prime minister, or even the emperor himself. Another court named Tlacxitlan dealt with warriors and nobles. Staffed by three or four professional judges, this court was also accountable to the Supreme Court. So, whether commoner or noble, if your case was still unresolved and if you had the necessary clout and means, you would reach the Supreme Court in Tenochtitlan. 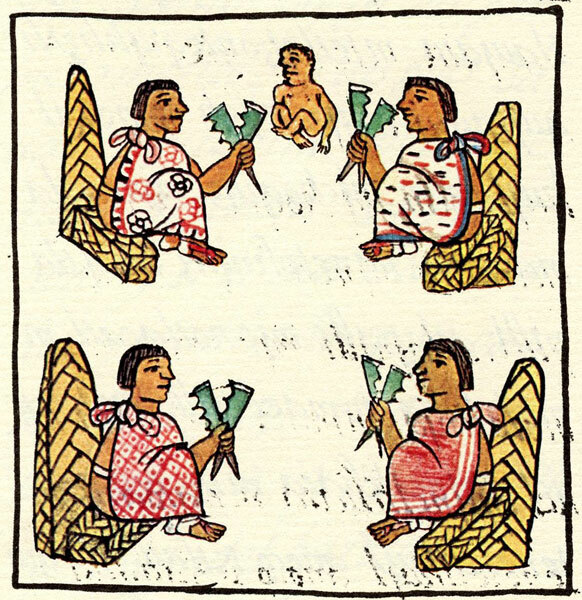 This one was convened every 12 days, staffed with 12 judges and presided by the Cihuacoatl or the Emperor himself. Its verdict was final and could not be tampered with. Sentenced by the highest authority, your fate was sealed. There were quite a few courts acting outside the system, legally so. Commercial courts were run by the traders’ guild, staffed with 12 judges and dealing with every offence related to the marketplace and to commerce in general, having every authority to judge and execute their criminals or offenders. Military courts, staffed by 4 judges, dealt with military problems. Those were mobile and could be conducted right after a battle no matter how far from the capital the warriors’ forces were. Religious courts dealt with the priests and temples, and sometimes a special tribunal was held in the palace of the emperor to deal with the crimes committed by high dignitaries. The judges would usually be selected from among the nobility, approved by the emperor himself. An extensive training in a calmecac - school for nobles, warrior, judges and priests - would be required, followed by a long apprenticeship of sitting beside the actual judge and learning the trade. The exception were the lower local courts, who were not appointed by the highest authorities, but, as stated above, selected from among the neighborhoods’ respectable citizens. The judges’ salary came from the state, from proceeds of the lands set aside especially for this purpose. Judges were expected to deliver impartial verdicts and sentences, regardless of the parties’ social status. A judge was not allowed to accept gifts in any form and was bound by strong rules of ethics, a violation of which could result in a number of penalties. But the Mesoamerican judiciary was a self-policing institution. So if you were dragged to the court by your enraged neighbor claiming that you encroached on his property, or had stolen his goods, the charges would be filed, and you would stand before the judge’s dais, allowed to confront your accuser. The lawyers were not allowed, but you could bring a friend to help you to plead your case. The witnesses would then be questioned, along with the suing parties. 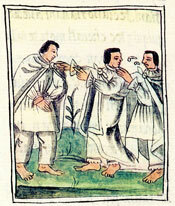 Both would be required to swear to tell the truth in the name of Huitzilopochtli and they would do so “by touching the ground and then their lips”, after which the judges would proceed with cross-examination, putting their skill and accumulated experience to extract the truth. Testimony, evidence, confessions and all sort of documentation was admitted, and the lying witness would be punished with the same severity as the sued party if found guilty. Some sources state that the maximum length of the higher courts would reach up to 80 days (4 months by the religious calendar in which each month was as long as 20 days). So if your case had managed to reach the Supreme Court you would wait a long time for your fate to be decided upon. Among other positions involved in delivering justice, scribes were the vital part of the system, held next to the judges by their importance. From writing code-books for judges to recording the proceedings in the court, scribes were entrusted with a serious responsibility. As the writing was a complex pictorial system, to keep pace with the proceeding of the court was a demanding job not every scribe could handle. The enforcing arm of the jurisdiction, the police, was likely divided into groups, too, recognized by a different way they were required to arrange their hair. Some consisted of commoners, responsible for executing criminals by strangling or stoning them in the marketplace, while other groups of more noble origins were responsible for more elaborate punishments. So if your neighbor, indeed, dragged you into a court, I sincerely hope you and your friends had managed to plead your case well, avoiding the conviction. 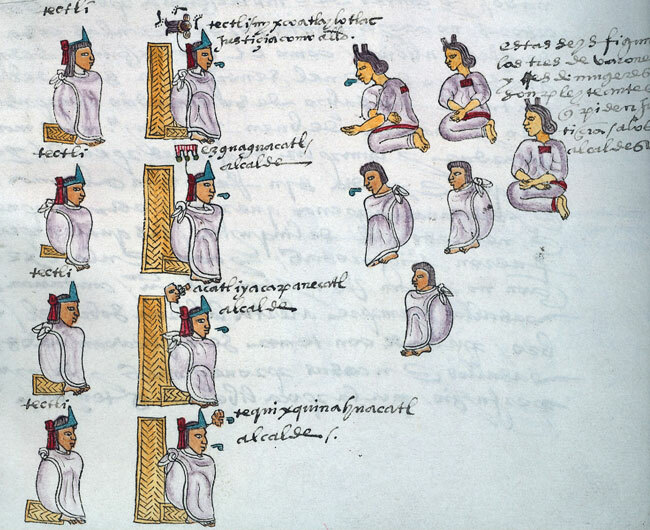 • Image from the Codex Mendoza scanned from our own copy of the James Cooper Clark facsimile edition, London, 1938.